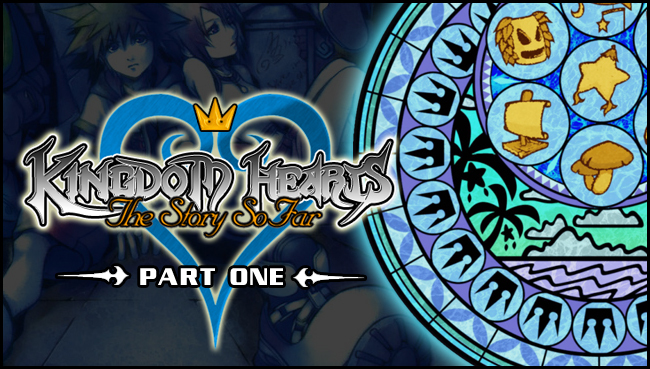 Kingdom Hearts HD 1.5 ReMIX - OUT NOW! E3 Leak: Kingdom Hearts 1.5 HD Trailer! Thanks to GamersPrey the HD trailer for Kingdom Hearts 1.5 HD ReMIX that was to be shown at E3 was released 6 day before the big event! The game will have Kingdom Hearts Final Mix, Kingdom Hearts Re: Chain of Memories and Kingdom Hearts 358/2 days Remastered in HD for the Playstation 3! Not only that but you will have trophies available to you as well as updated music, sound and gameplay mechanics! The game is slated to be released Sept.10.2013. You can preorder it now and get the limited edition artbook! Screenshots from KH 1.5 HD! Are you enticed yet? At PAX EAST we had official confirmation from Square Enix about Kingdom Hearts 1.5 HD Remix to be released for the NA regions which includes the final mix of Kingdom Hearts, Chain of Memories as well as a video compilation of 358/2 Days. If you're a fan of the series but missed out on some of the games in between the main entries of 1 and 2 because of them being on handhelds you didn't own, than 1.5 is perfect for you! At PAX East itself, the English trailer was released. Check it out for all the nostalgia feels. Just as of today a few screenshots from the HD version was released via Square Enix's NA blog and Kingdom Heart's Facebook page. Square Enix have unveiled the official PAX East trailer for the upcoming Kingdom Hearts HD 1.5 ReMIX showing off various aspects of all 3 parts in glorious YouTube HD! In the event that you haven't yet found the light and are still lumbering around in the realm of darkess, let's bring you up to speed. Slated for a Fall 2013 release in western territories the title features full HD remasterings of Kingdom Hearts FINAL MIX, Kingdom Hearts Re: Chain of Memories and cinematic scenes from Kingdom Hearts 358/2 Days. How's that for a mouthful? If nothing else you'll be singing Simple & Clean again by the end of it! Kingdom Hearts fans, rejoice: the first HD collection for the franchise will be making its way to Europe and North America! If you didn't know, the annual Tokyo Game Show is going on right now. Lately, the show has been more and more about mobile games, but we still occasionally get new(ish) game announcements. Like this one. Revealed in Famitsu magazine, this PS3 collection includes HD versions of KH Final Mix and Re: Chain of Memories. It also has all the cutscenes from KH 358/2 days re-made in HD for your viewing pleasure. It's set to come out in Japan next year. TGS has just started, so keep an eye out for more news on the various Square Enix franchises.